Fortunately, shopping for a budget TV doesnt have to be stressful. If anything, it can be rather fun to find out the best budget buys on the market right now and how you can invest in them. People often think that when you are purchasing a TV for a budget price range that you wont be getting something that is good quality. Yet, the opposite is true. There are so many different models out there to choose from, youre going to be spoilt for choice! What to Look for When Buying A TV Under $300? 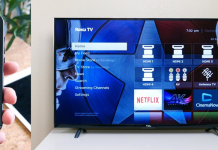 Whats the Best Smart TV Under $300? Whats the Best 4K TV Under $300? 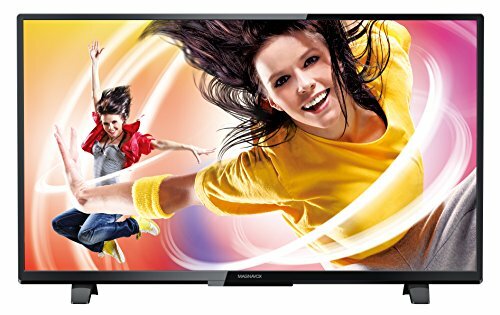 Whats the Best 40 Inch TV Under $300? When youre on the hunt for a TV under $300, you must know what to look for. There will be specific models that wont be as good or feature elements another will. This means youve got to keep a sharp eye out for the intelligent and exciting features that some TVs to buy on Amazon have. Beware though, since youre on a budget, you wont get the best TV ever, and your purchase should be thought about. Its great to get a TV that is worth the money you spend, but youre not going to get a $300 model with $1000 4K TV features on it. Its going to be pretty standard. If youre happy with this though, its great! If you have a bit more of a budget, try these top TVs under $500or these amazing TVs for below $1000! 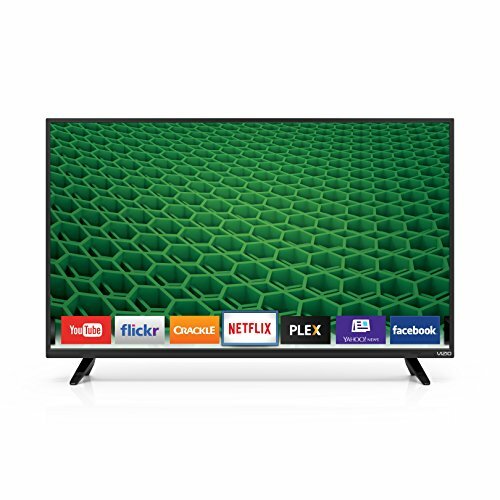 This fantastic 43-inch TV is a great choice for those on a budget, it has an overall great picture quality, and the design is pretty sleek too. Although the design is thicker than a typical Samsung model, it still looks high-end and more expensive than it is. The stand is matte black and sits in the center of the TV screen unit. It has averagely sized borders coming in at 0.94 in width. Yet, the thickness of the TV is great, its super thin and ideal to mount on a wall or leave freestanding. Any movie lover would adore watching their favorite things on this model as the blacks are amazing and very uniform. As well as this, there is a wide range of colors that compliment the screen, so its a must-have for any lower end budget. It also has a little input lag, so if youre more of a gamer, you will be able to connect up your gaming consoles and play your games on it. Budget Smart TVs to buy on Amazon have a name for themselves as lacking a lot of character and not being worth the money you pay out, this model proves this name wrong. Although the sound quality isnt the best, it has a lot of extra features that work well. It has a 1080p resolution and is LED, so you have a perfect backlight for your screen. One thing it does struggling with is the motion blur, it is noticeable which is disappointing but doesnt affect your viewing pleasure too much. Why We Liked It - While purchasing a budget TV isnt for everyone, its ideal for anyone who wants to save money but still have a good quality TV in their home. Resolution and smart features might be important for some families, but others just want something that is watchable and looks nice in their living room. Samsung TVs are great, so you know you are getting something great with this model. With a slightly smaller size is the Sceptre X405BV-FSR 40 inch LED HD TV. Its super easy to set up and simply snaps into place with hardly much effort. It also includes an HDMI input so you can connect up your laptop or gaming console if you want. It also has a range of advanced settings that allows the user to change what the screen display looks like, such as the dynamic contrast and noise reduction (which is perfect for film mode!). Regarding design, its an average looking TV with not a lot of personality. It has a 1080p resolution and stands on a black center stand. Its pretty stable considering the price tag, so you dont have to worry about it falling or being dangerous around younger children. However, for all those gamers out there wanting the perfect gaming TV, this budget TV isnt going to be the answer. It has a higher input lag than other standard models which isnt a problem until you try to play games. Why We Liked It - Overall, its a nice TV. It hasnt got a lot of extra features, but its one of the cheaper HD TVs you can buy on the market, so its worth taking a look at if youre looking for something simple yet good quality. 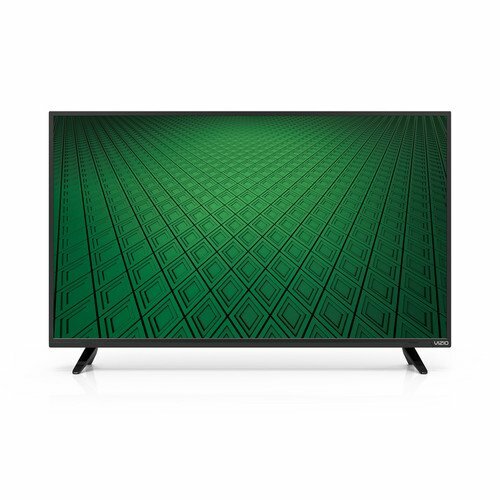 For anyone who wants an LED TV that performs well and has an above-average picture quality, the Vizio D40-D1 is ideal. Its a 40-inch 1080p cheap TV that handles motion really well and has a low input lag for all the gamers out there. Although it isnt the best budget TV you can buy, its certainly one of the cheapest on the list, and it is good value for money. Everything about this 40-inch 1080p cheap TV is pretty basic, but it works. Thats the thing about cheap TVs, they dont have a lot to them, but theyre ideal for any family who wants to invest in a cheap TV for a small amount of money but isnt too bothered about the extra bits you can get with more expensive models. The Vizio D40-D1 model looks a little more upmarket compared to the previous two on the list. This 40-inch 1080p cheap TV has two legs on the edges of the unit which allows the TV to seem more modern and less bulky. Yet, the overall thickness of the TV is quite bulky, and this is apparent when viewed from the side. It has very poor local dimming. Although this isnt such a huge deal breaker for many people, it can affect some edge-lit TVs and does with this Vizio model. The picture quality and colors also deteriorate at a few viewing angles with the colors becoming washed out, and some blacks become gray. This isnt a major issue but could be avoided if you research more cheap TVs to buy on Amazon for under $300. Why We Liked It - TVs dont have to be super big to watch your favorite movies and TV shows. This model is a prime example of how you dont have to spend over $300 but still get a nice-looking and functional cheap TV. 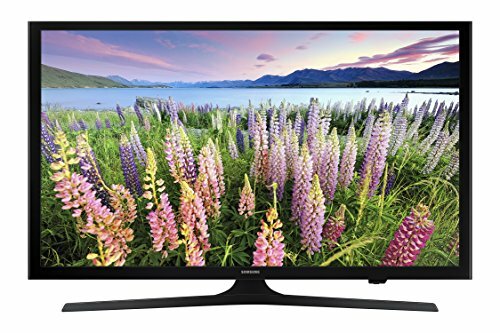 For those with an adjustable budget, try a TV for $400 and below. This Samsung UN40M5300A model is a full-HD TV that has a low input lag (so you gamers can make the most out of your money!) and extra smart features. Its one of the only cheap TVs that offer great smart features that actually work and will be of use to the user. It also looks great. Despite having a basic design and not being the centerpiece of a room, it looks modern and can fit into any living area or home. However, the sound quality of this budget M5300A model isnt the best, and the picture quality is below average too. This is because Samsung typically produces more upmarket TVs and although this is cheaper, its not up to a good enough standard to be seen as incredible. Despite this, its still a decent TV with extras you may want to think about. If you wish to have smart features and a low input lag, its definitely something to consider. Yet, if youre more bothered about sound and image quality, then you should keep looking at your other options. A lesser known brand is Magnavox. They produced this 40ME325V/F7 model with 1080p resolution and 3 HDMI inputs for all your blue ray player and video game use. It even has an external USB port stick for viewing JPEG photos. One really great thing about this model is that the TV comes with a brilliant motion rate so you can get that super sharp and excellent picture quality for when youre watching an action-packed movie or TV show. However, it doesnt excel regarding design. From a front-facing angle, everything is almost perfect. But, when viewing from the side and other viewing angles, it is very bulky and looks more lower-end. Despite being a cheaper model than others, you can tell its not an upmarket product. It struggling with motion blur and the blacks arent very uniform at all. This is an issue if youre an avid movie watcher who stresses about picture quality. The Magnavox 40ME325V/F7 model is the ideal choice for anyone who isnt overly bothered about the look of the TV as long as it has a good picture quality. Why We Liked It - While its not a home theater, its a nice addition to any household that is in need of an HD TV. 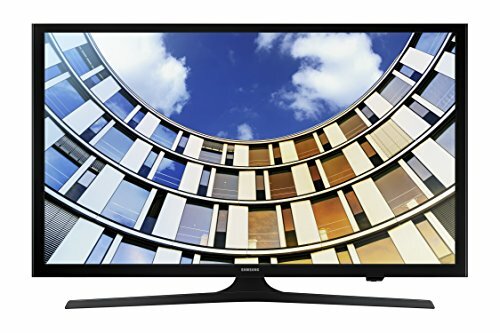 It might not come with all different features, but its a great cheap TV to purchase, especially if youre moving into a new home or are on a low budget. 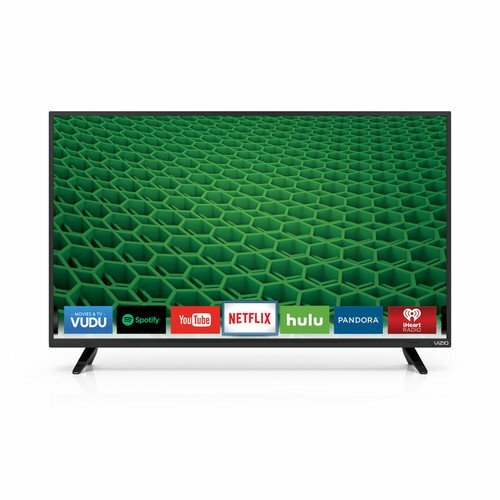 Featuring extra smart features, this Vizio D39H-D0 is a 39-inch TV that has internet apps integrated and a 720p resolution. It also has built-in Wi-Fi which is pretty impressive for a budget smart LED TV with limited features. Since it has an HD resolution, youll be able to enjoy a clear quality picture. Yet, this HD resolution is very debatable. The standard amongst TVs these days is 1080p, having only a 720p resolution can be limiting. Its on the lower priced side of TVs to buy, so its ideal if you have a low budget for your family TV. This 1080p Smart LED TV also a great addition to any bedroom. Due to being cheaper than a typical TV, you can buy multiple versions and put them into different rooms of your house. It does have flaws, but overall, its a pretty good 1080p Smart LED TV with a lot of potentials. Beware though, since it is cheaper, you wont be getting the excellent picture or sound. There is a problem with the blacks uniformity, and it could be a lot better as a model but if youre after something simple its an ideal solution. Why We Liked It - Even if youre spending a smaller amount on a TV, you still want a good quality product. 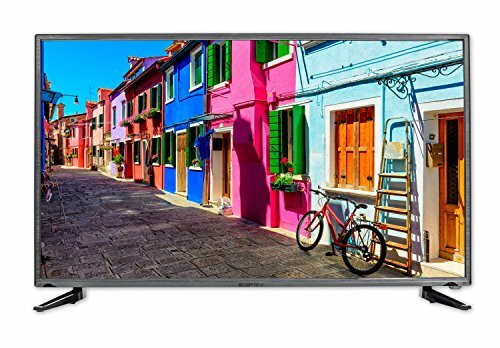 This 1080p Smart LED TV gives you the versatility to put it anywhere in your house and it still provides a good image quality, theres not much more you could want! Considering the low price of this model by Vizio, it definitely exceeds expectations and performs really well. It has a great picture, and despite only being a 720p resolution, its an ideal budget TV for everyone who wants to save some money. The design is nice and works well with the look of modern homes or apartments. Its also not too thick when viewed from the side so could be mounted on the wall without any issues.Its the perfect size for any bedroom as it will fit into a smaller space, but its still a high-quality finish and has a high sound quality.Dont worry about getting yourself a speaker or soundbar to improve the quality of sound as its pretty great on its own! Yet, it has some major flaws. The black uniformity and grays on this TV are very poor, and the overall image quality isnt average either. Its always better to opt for something you know is good as your home screen, but this TV is a huge risk. Although you dont pay a lot for it, you still have to invest some of your wages into it, and its not always ideal if youre wanting to save some money.Pros:+ Small, Compact, and Lightweight+ High Sound QualityWhy We Liked It Its a great quality TV at a low price and if you need this type of thing, why wouldnt you want to buy it? Its a perfect brand and is seen as really reliable, so its an ideal choice for any family or person on a budget who wants a good viewing experience. Since youre on a budget, youre going to have to look further into the features and extras of each TV. It also means youre going to have to look at the screen resolution as not every TV will have HD qualities. If you want a good TV, its going to take some researching, especially if you want one under $300. Below we have listed some critical aspects of what to look for when youre buying a TV for under $300, these are essential if you want to make sure you buy the perfect TV at the right budget. Smart TV Features Since youre not spending a lot on your TV, its more than likely that you wont be able to get a lot of advanced smart features. 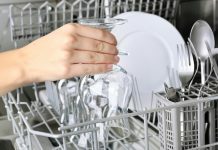 Yet, some brands offer intelligent features on their better models (those that are more towards the $300 mark), and these can be a game changer when you have them installed. 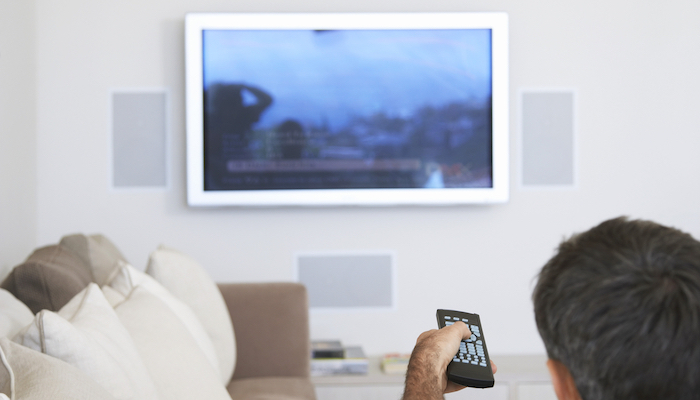 You can watch Netflix, Hulu or even catch up on your favorite TV shows. Theyre really great to have, and when you pay less for a TV you often dont get them, but if youre lucky and find an offer or two you might be able to get yourself a great one. A Good Screen Size Its kind of inevitable that you wont find a good quality 75-inch TV for under $300, they range up to thousands of dollars. But, if youre looking in the right places, then you can often get a good screen size on a TV (such as 36 or 38 inch TVs) for under your budget. A good-sized TV with high image quality for under $300 isnt as hard to find as you may initially think. Its always better to get a bigger screen size TV, even if youre on a smaller budget. HDR Feature This feature improves the overall image quality that your screen produces so if you can find a TV under $300 that has HDR, youre a winner! 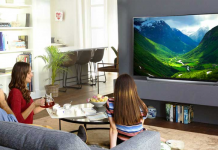 It will improve your overall viewing pleasure too, so if youre wanting to use your TV all the time and watch countless movies, an HDR TV is definitely ideal. The (located at number 1 on our list!) has got to be the best cheap smart TV available on the market for under $300. It has some fantastic extra features you wouldnt typically think a cheap TV would have. This cheap smart TV also got a great sound and image quality which we love. Unfortunately, there arent any cheap 4K TVs to buy on the market right now that are under $300. This could be because the 4K Ultra HD screen resolution is a new concept and most TVs to buy on Amazon that have this are more expensive. 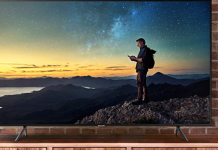 Perhaps in a few years, the price tags will decrease, and we will see more 4K screen resolution screened TVs go into the $300 range. However, we have completed a review on the top 4K TVs under $500. Its definitely the Sceptre X405BV-FSR model. It might not have smart features or any fancy elements, but its 40 inches and has a high picture quality that everyone can appreciate, even if youre not technology nerds like us!